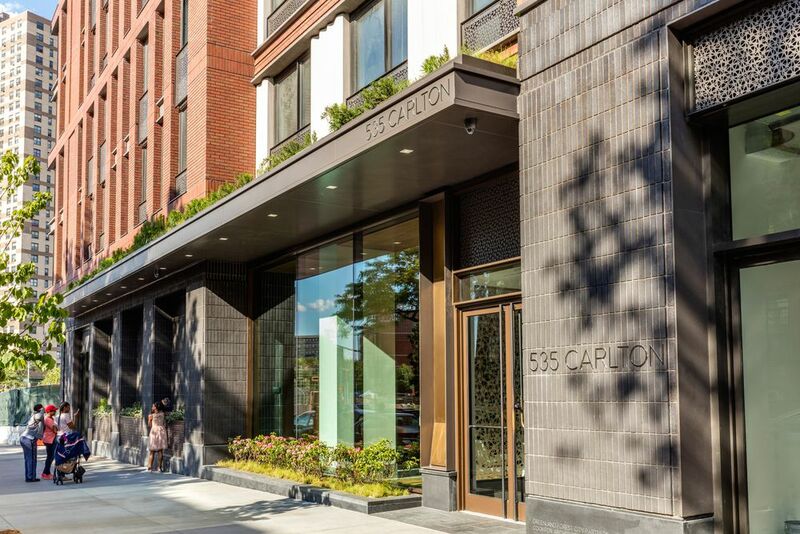 535 Carlton is part of U.S Immigration Fund’s Project, Atlantic Yards III. Pacific Park—or the Megaproject Formerly Known as Atlantic Yards—has been in the works for so long that it’s easy to forget that people only recently began living there. But indeed, more than a decade after the Pacific Park megaproject received city and state approval, it’s finally started welcoming its first residents. The first building to open its doors was 461 Dean Street, SHoP Architects’ modular rental that abuts the Barclays Center; tenants moved into its apartments last year. 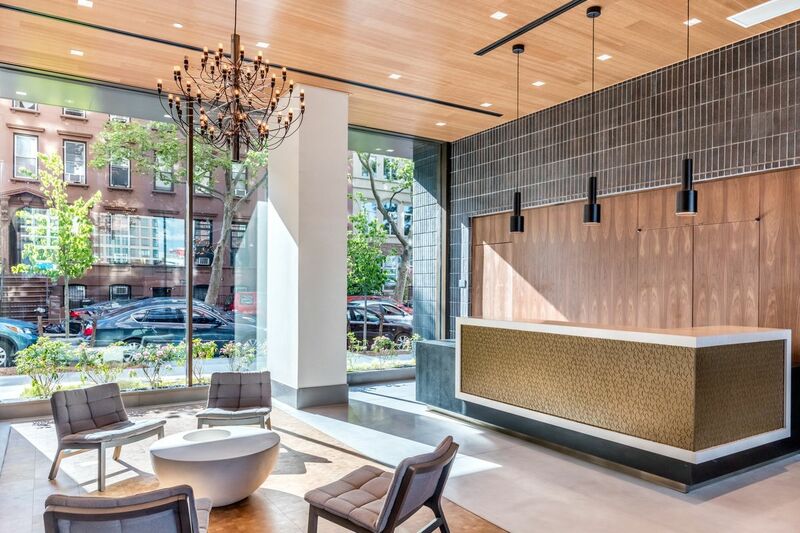 On the condo front, closings recently began at 550 Vanderbilt Avenue, designed by COOKFOX, paving the way for those residents to start occupying their apartments. And as of today, a third building—the all-affordable rental at 535 Carlton Avenue, also designed by COOKFOX—has officially opened its doors, with tenants moving into its 298 apartments. 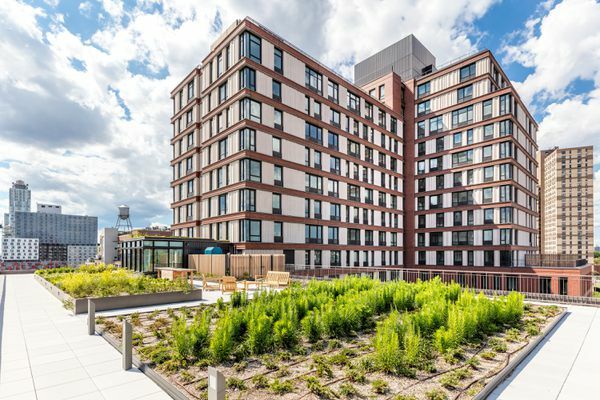 The building is one of two all-affordable rentals that are coming to Pacific Park this year; the other, the SHoP-designed 38 Sixth Avenue, launched its affordable housing lottery earlier this year. Both the city and developer Greenland Forest City Partners have touted the number of affordable apartments in Pacific Park, which will total more than 2,000 once the development is completed in 2025 (nearly 800 of those will be available this year). This building was one of several that was fast-tracked in 2014 after a cash infusion from Greenland USA made it possible to bump up the development’s timetable. “For hundreds of families right here in Brooklyn, these homes represent economic security, the chance to save a little every month and get ahead, and the assurance that they’ll be able to afford to stay in the borough they love,” Mayor Bill de Blasio said in a statement. Deputy Mayor Alicia Glen, who has helped spearhead his administration’s affordable housing efforts, were on hand for the unveiling earlier this morning. The building itself has a host of spiffy amenities, including a landscaped terrace with an adjacent residents’ lounge, a children’s room, and a fitness center. Once the park at the center of the megaproject opens, the building will have views of that as well. Apartments in the building were allocated through the NYC Department of Housing Preservation and Development; we’ve reached out to reps for Greenland Forest City Partners about how these will be allocated in the future, and will update once we’ve heard back.